Social-impact crowdfunding platform ImpactGuru, incubated at Harvard in 2014, said it has raised $2 million (Rs 13 crore) in a Series A round led by Apollo Hospitals Group and Venture Catalysts, a seed fund and incubator. It will now be the preferred crowdfunding platform for all of Apollo’s patients nationwide, the platform said. The round also saw participation from existing investor Singapore-based RB Investments and Currae Healthtech Fund led by Apoorva Patni, son of Patni Computers co-founder Ashok Patni. The company also saw other investors including family offices and Indian diaspora from the US, Southeast Asia, and West Asia (the Middle East). Run by Mumbai-based Impact Guru Technology Ventures Private Limited, the platform combines social or donation crowdfunding with investment crowdfunding/fundraising for individuals, non-profits, social enterprises, and startups. ImpactGuru’s last fundraising was two years ago, when it had secured $500,000 (Rs 3.3 crore) from Singapore-based venture capital firm RB Investments and Fundnel, a Southeast Asia-based private investment platform. Most recently, the startup won the TechCircle Award for the best social-impact startup early this month. ImpactGuru will use the capital to scale up its operations by ramping up sales and marketing. It will also invest proceeds in artificial intelligence, machine learning, big data, and Indian languages’ support. 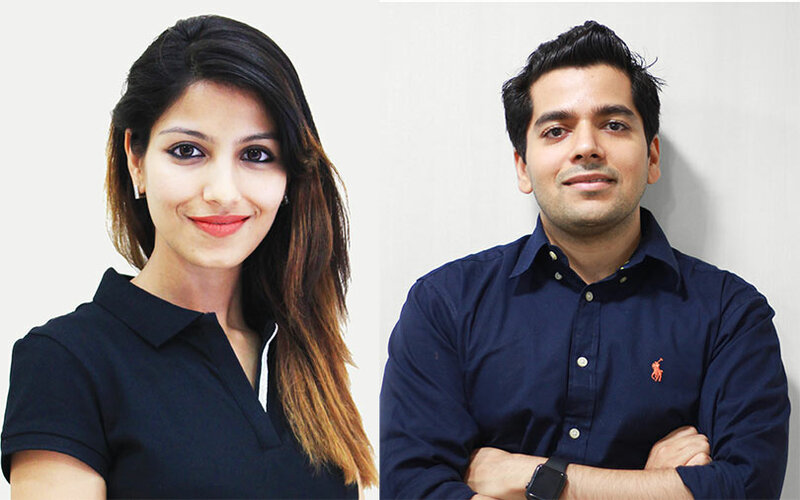 The company was founded by Khushboo Jain, a graduate from Welingkar Institute of Management, and Piyush Jain, a graduate from Wharton Business School, who has earlier worked with Boston Consulting Group and JPMorgan. "This (funding) will help us to scale up crowdfunding in India and make healthcare affordable for all. Every social cause deserves a chance to succeed. The potential to use technology to crowdfund for help is limitless in the face of India’s accelerating smartphone, internet, and digital payments penetration,” said Jain, co-founder and chief executive. ImpactGuru said that crowdfunding has emerged as a next-generation financing method to pay for healthcare and was particularly relevant for India’s 250 million strong middle-class population as 80% of the country’s people don’t have health insurance (going by National Sample Survey Office), and have limited access to credit. "This partnership will help us to provide the best and most cost-effective patient financing solution in the market today. As a corporate social responsibility (CSR) initiative, Apollo Hospitals has decided to make crowdfunding free for all of our patients nationwide," said Suneeta Reddy, managing director of Apollo Hospitals. Healthcare crowdfunding is an alternative method of raising funds online for medical expenses, with the patient or his/her friends or family primarily relying on social media networks to mobilise donors to finance medical bills, ImpactGuru said, adding that it was one of the main categories for crowdfunding on its platform. Reddy added that Apollo will also pioneer the matching of CSR funds from within the group, as well as other organisations from outside, with the generosity of the crowd. "We are determined that no one should be denied access to quality care,” she added. Apollo Hospitals Group’s investment in ImpactGuru.com will help it to increase awareness of crowdfunding as a solution to make healthcare affordable for all -- particularly cancer, transplant, and paediatric cases, ImpactGuru added. “Crowdfunding to solve India’s healthcare and non-profit crisis is a disruptive innovation and has immense potential, with banks or non-banking financial companies unable to provide sufficient medical loans due to low credit scores, lack of collateral, high risk of death and default,” said Apoorv Ranjan Sharma, co-founder and president, Venture Catalysts. Beyond facilitating the investment, Venture Catalysts said it is also assisting the startup in scaling up its donor base and creating a culture of philanthropy within its investor network. ImpactGuru has an exclusive strategic partnership with US and UK based GlobalGiving, the world’s first and largest non-profit crowdfunding platform. ImpactGuru and GlobalGiving together have raised Rs 105 crore ($16 mn) so far for various social causes in India since their inception. Other crowdfunding platforms in India include BitGiving, IgniteIntent, Milaap, Ketto and FundMyPitch. In 2016, BitGiving raised an undisclosed amount from Wazir Advisors’ founder Harminder Sahni, Capillary Technologies’ co-founder Krishna Mehra, Impulse Marketing’ co-founder Sanjay Bakshi, and others. Ketto, which is co-founded by actor Kunal Kapoor, had raised Rs 4.4 crore in an angel investment round led by existing investor Pradyumna Dalmia, co-founder of Calcutta Angels; and Sudhir Rao of The Chennai Angels, who is also co-founder of IndusAge Partners.